Google announced today that Google Home is getting a new feature soon, which will allow owners make hands-free calls. 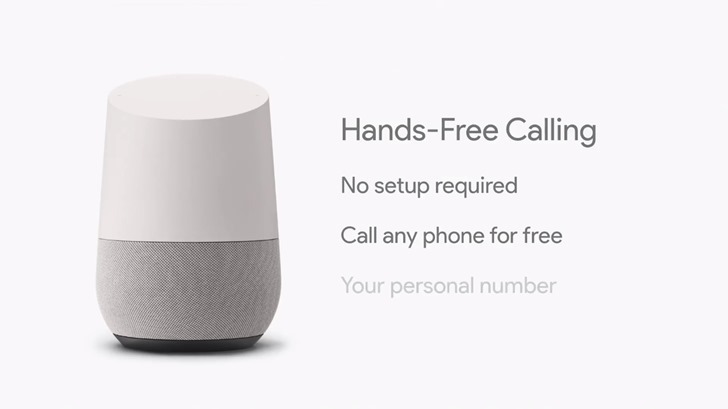 Today, Google announced that its smart speaker, Google Home, will support calling phones in the United States and Canada for free. What’s more, Google Home supports recognizing each user, so if you call your mom, Google Home will recognize your voice and call that associated number. All existing Google Homes will get this feature over the next few months. No setup required, call anyone including personal contacts and businesses, and dial out with your personal number if you prefer that. Google’s news regarding Google Home continued with news that playing music will be getting even easier. They also announced that the Google Home smart speaker will support Spotify’s free tier of music playback, so users will be able to play their playlists directly on the speaker. Moreover, another service, Deezer, will be supported by Google Home in the near future. On top of that, Google will be updating all of the existing Google Home units to support Bluetooth streaming. That means users will be able to stream music and more directly from their phone to the smart speaker. This update will roll out soon.